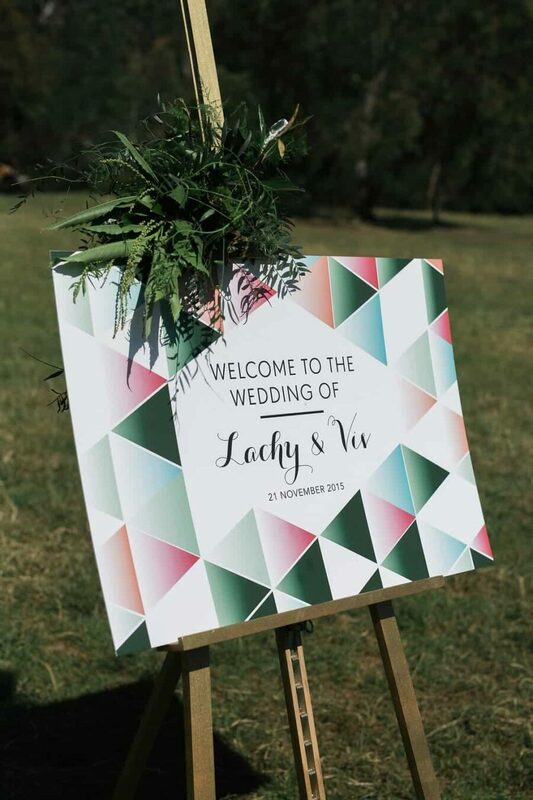 Living in Singapore, Viv and Lachy planned their entire Melbourne wedding from abroad and confess they couldn’t have done it without their stylists/planners Lettuce & Co.
Nestled in inner-city Abbotsford, the sprawling paddocks of the Collingwood Children’s Farm were the perfect spot for these two country kids to tie the knot. 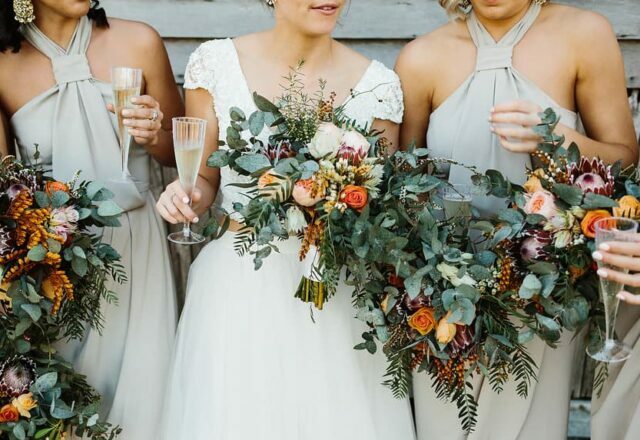 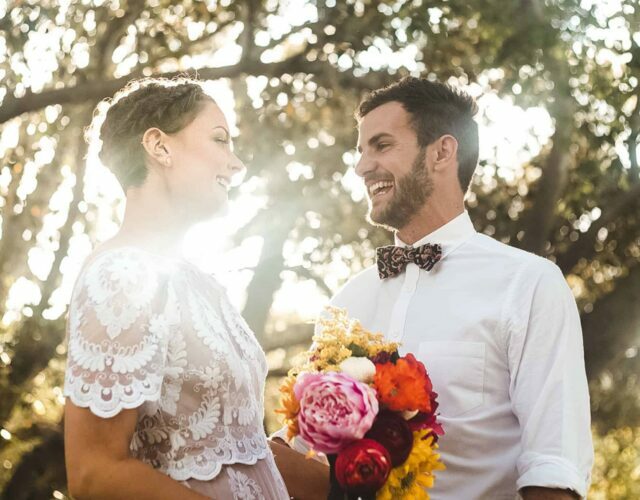 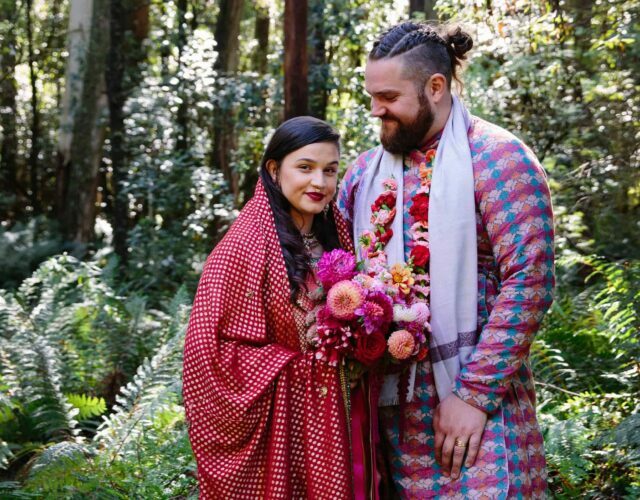 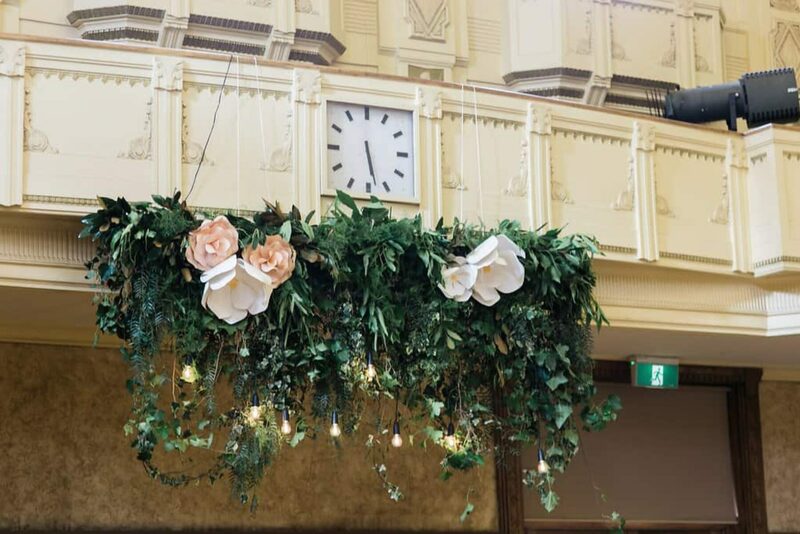 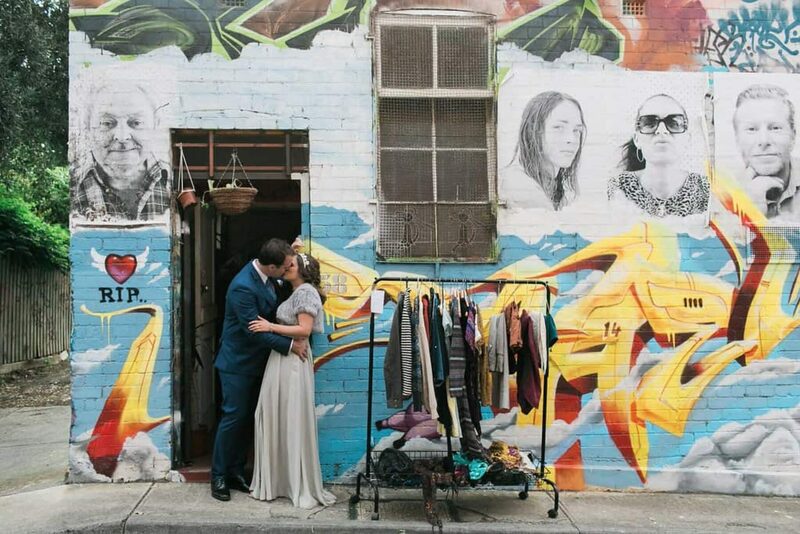 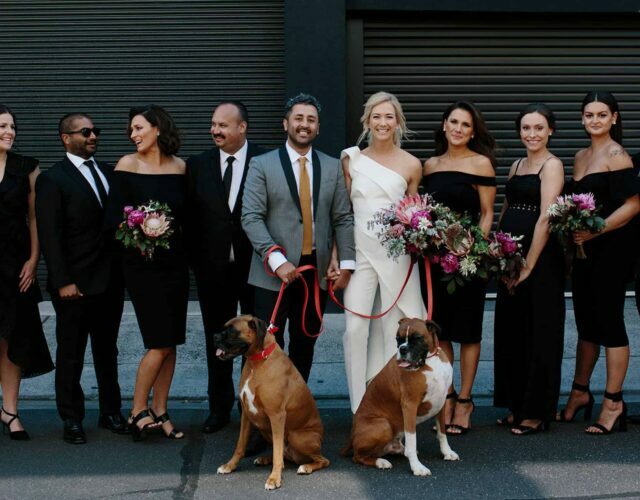 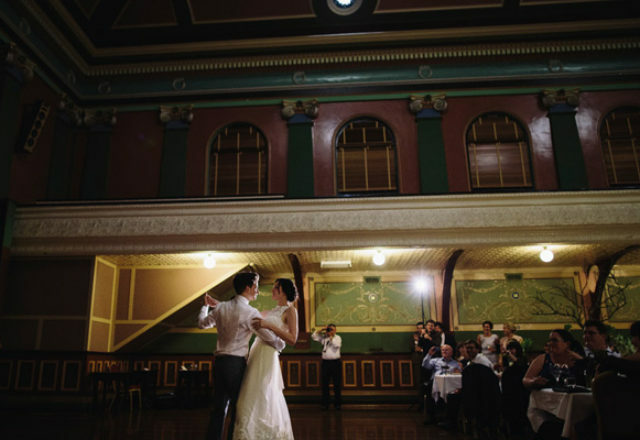 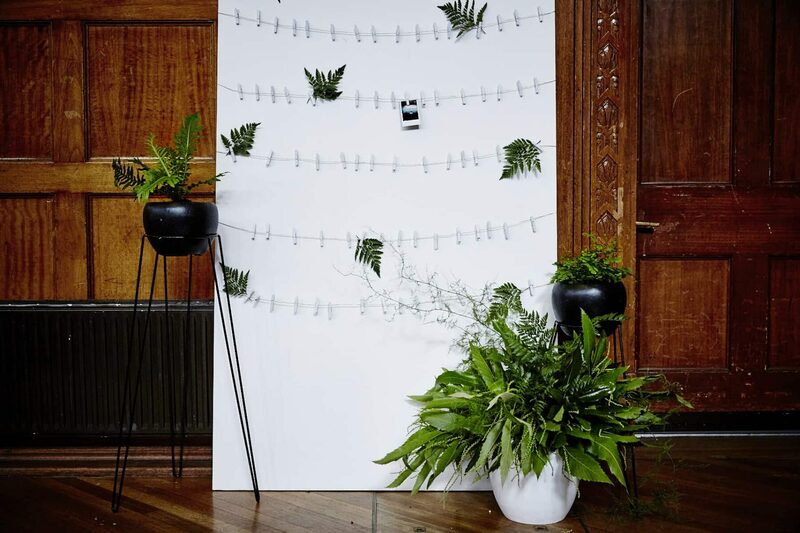 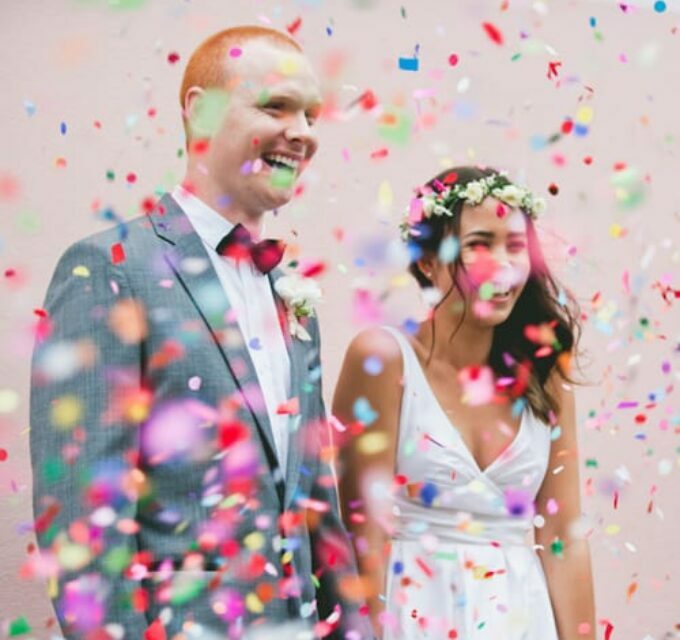 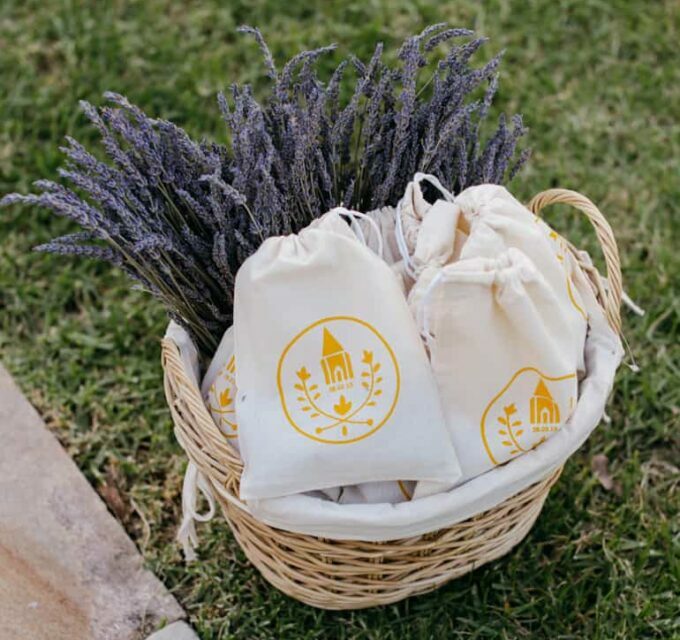 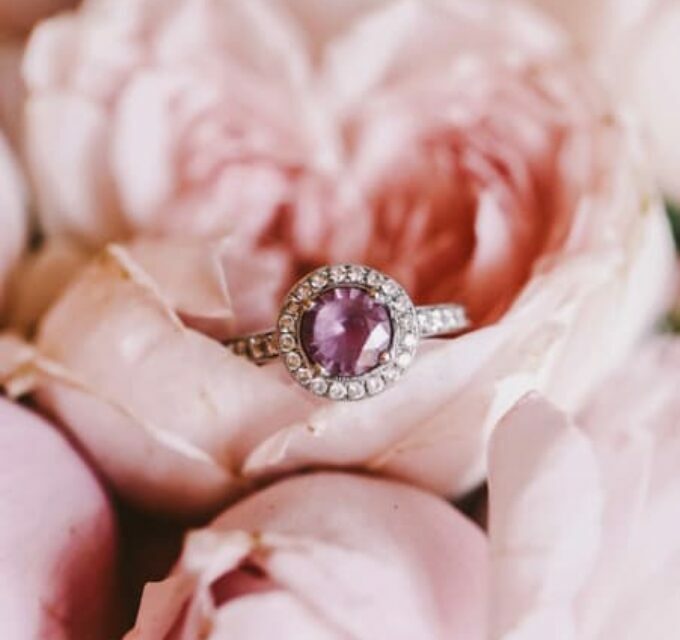 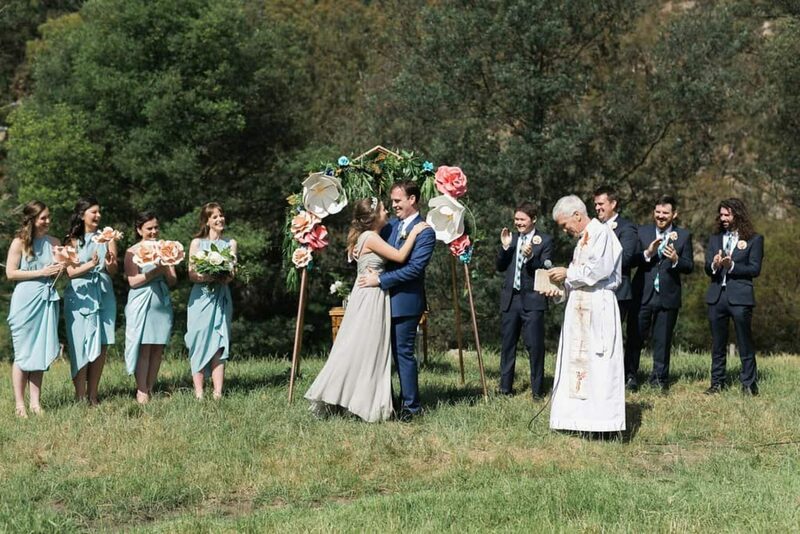 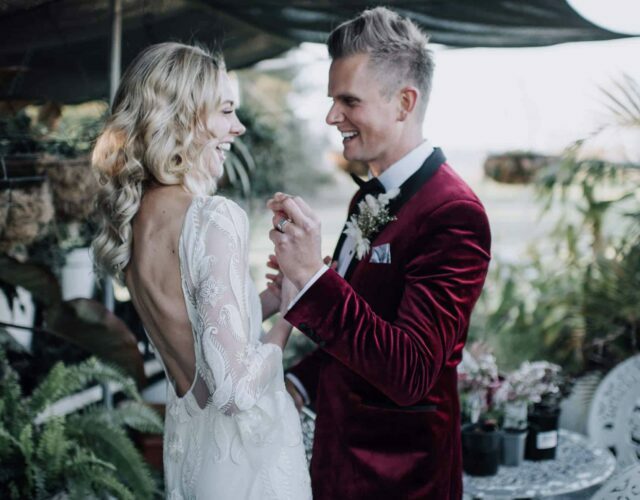 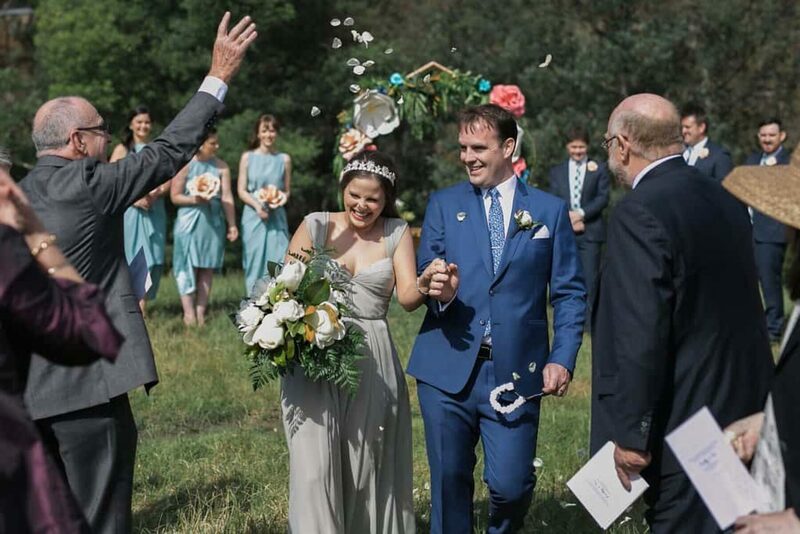 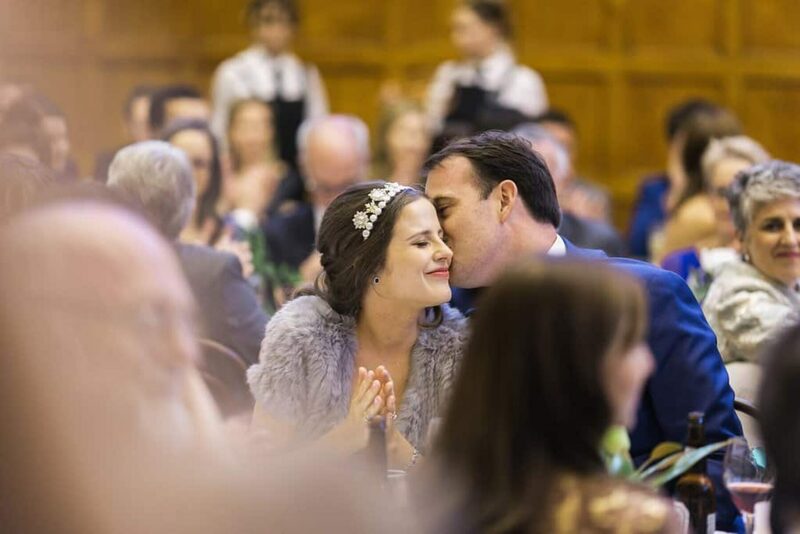 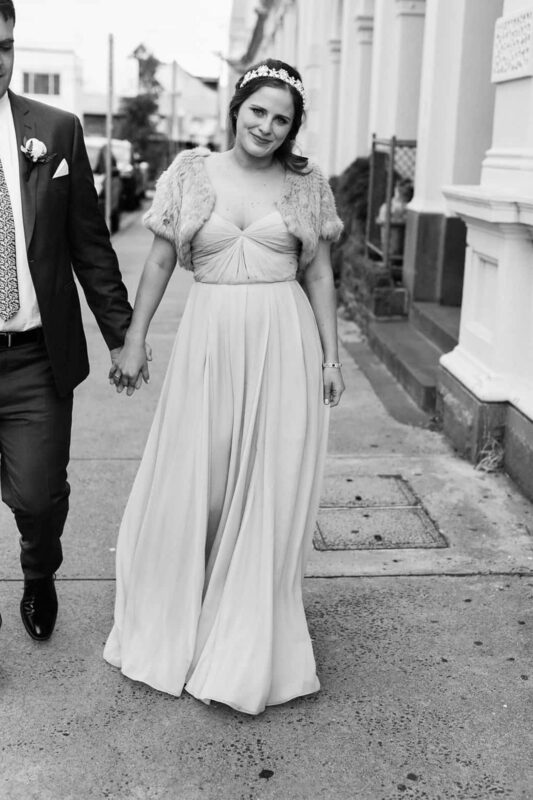 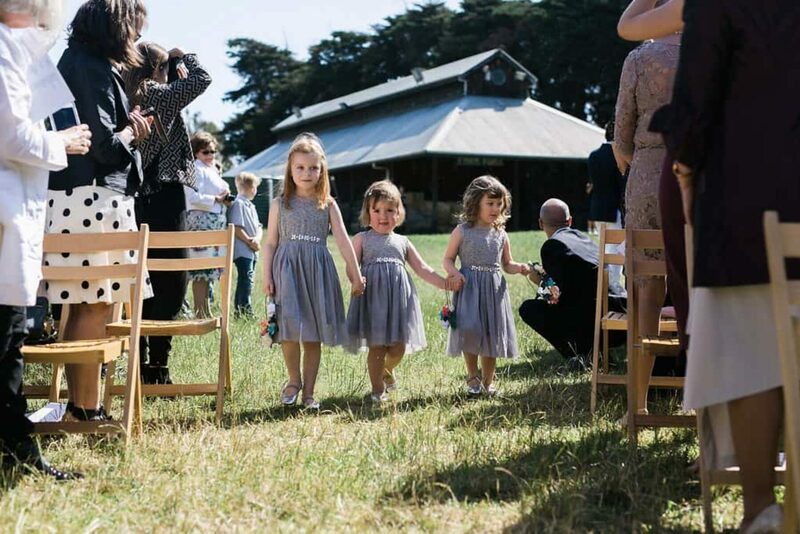 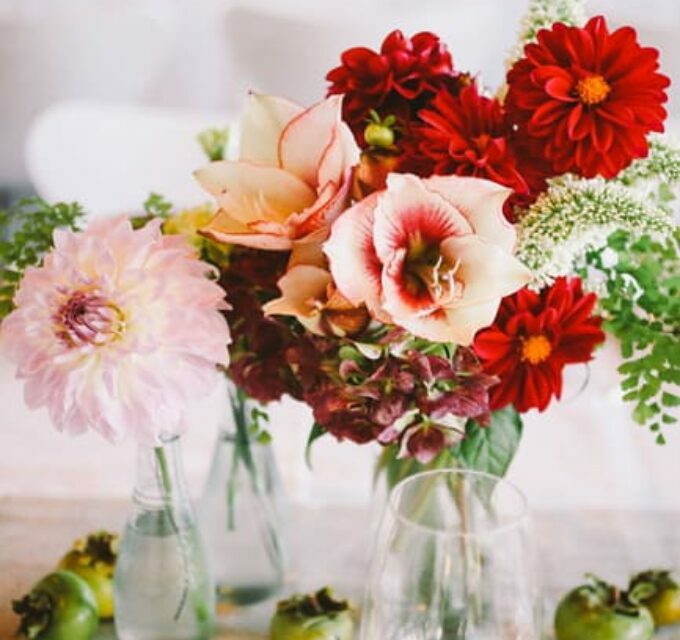 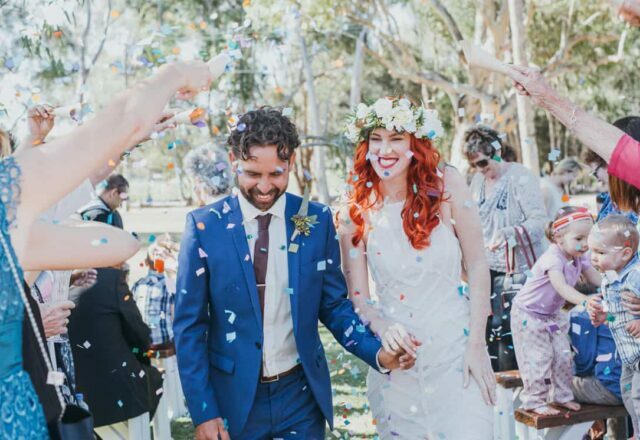 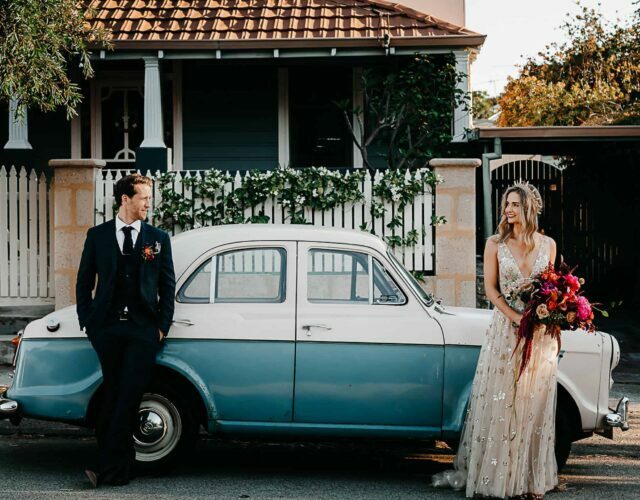 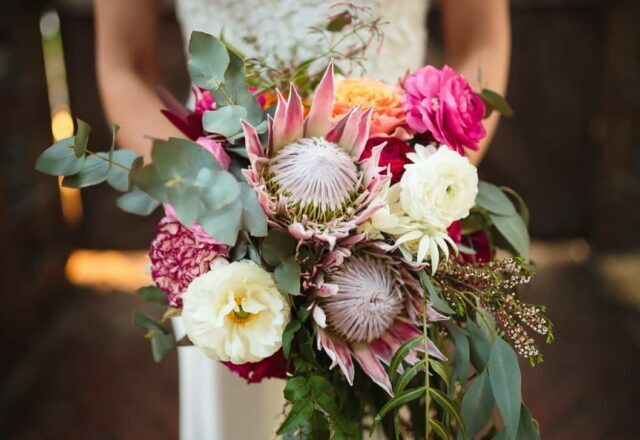 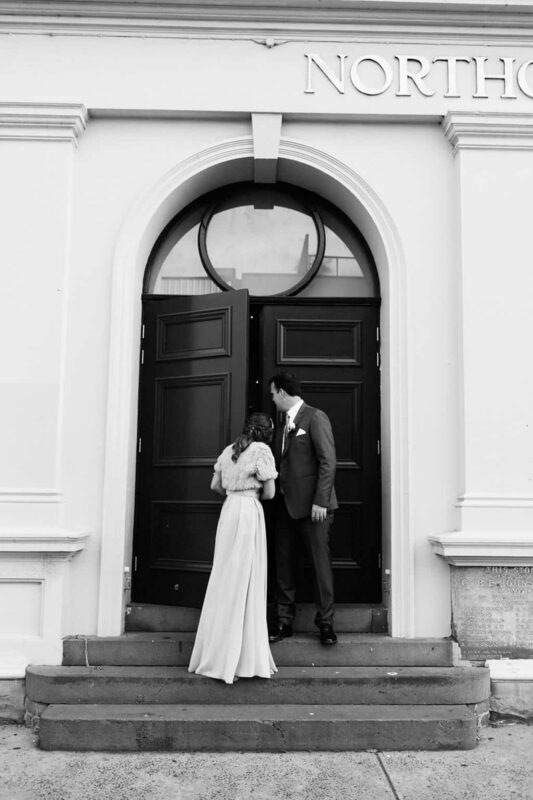 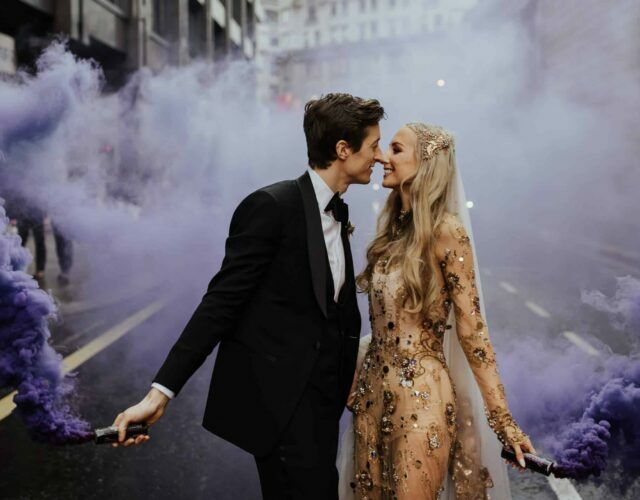 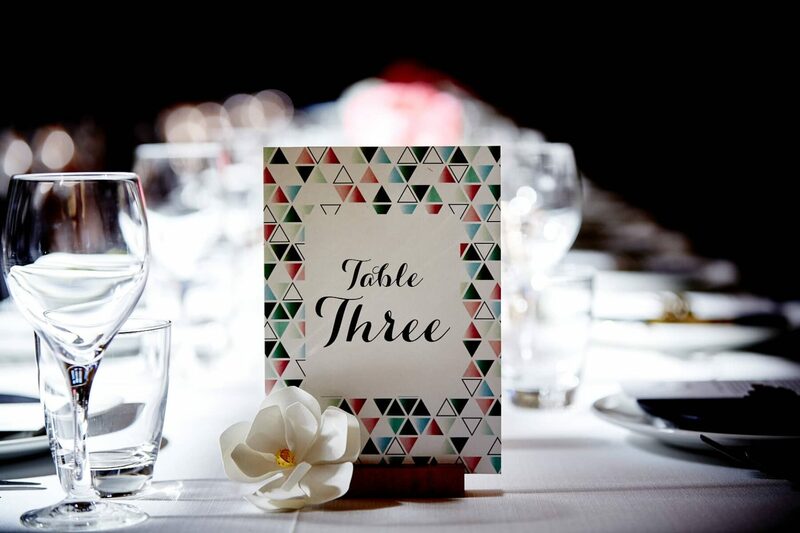 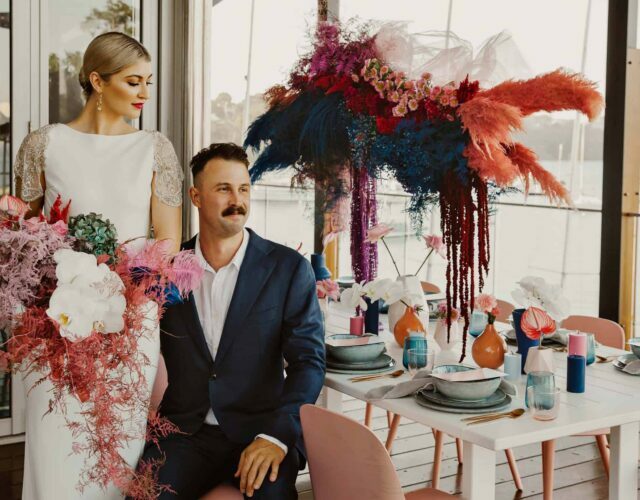 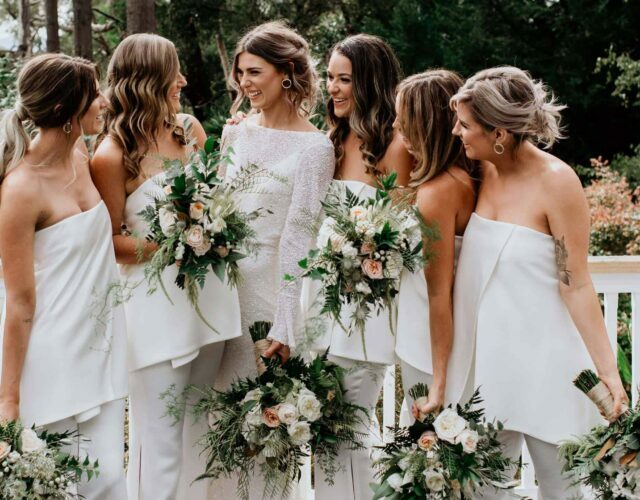 ‘Colourful’ and ‘fun’ were keywords for the ceremony, an aesthetic obvious in Alli Oughtred and Merlyn Reuter’s gorgeous snaps of the day, while the reception at Northcote Town Hall channeled a little formal elegance. 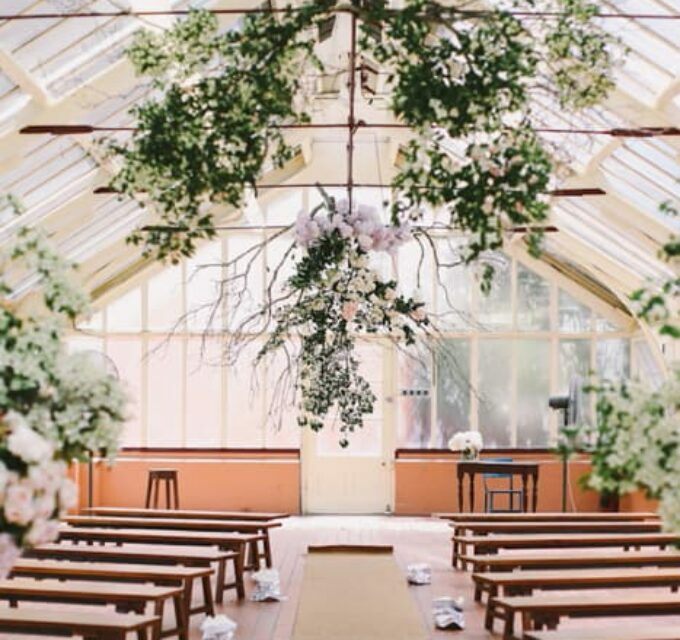 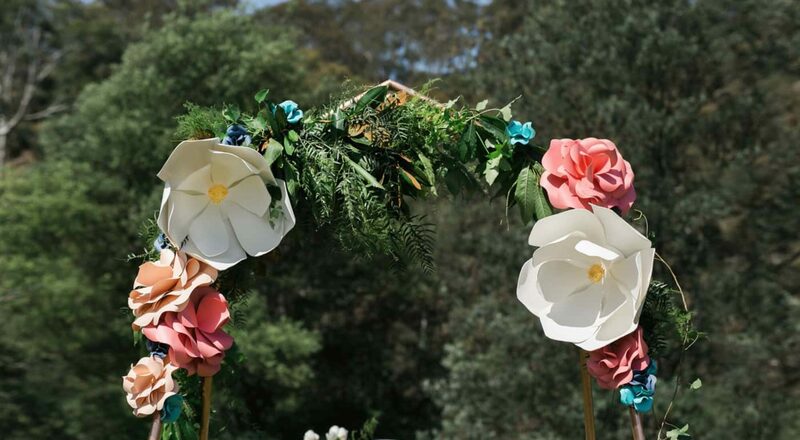 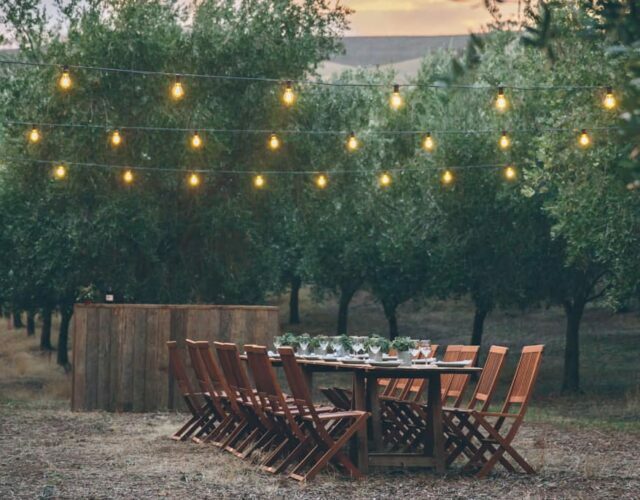 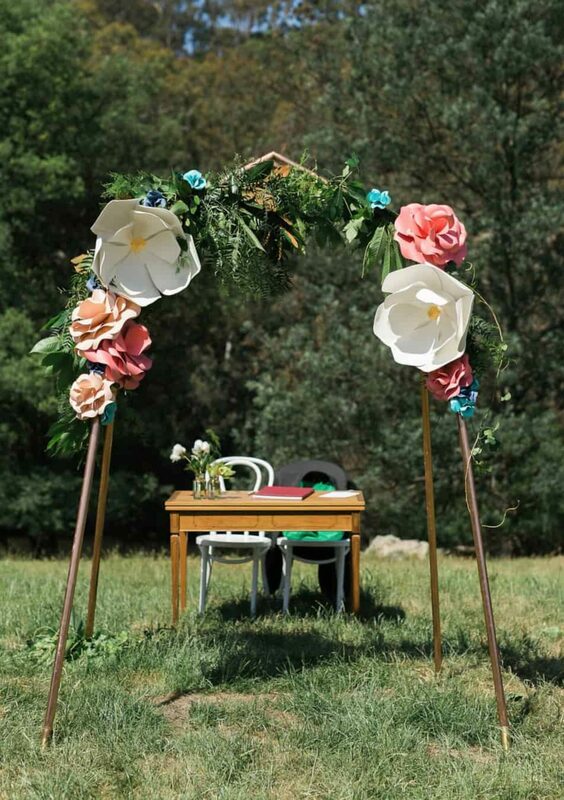 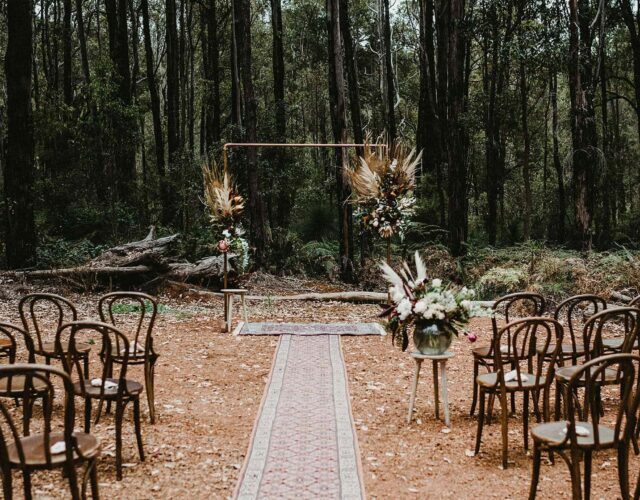 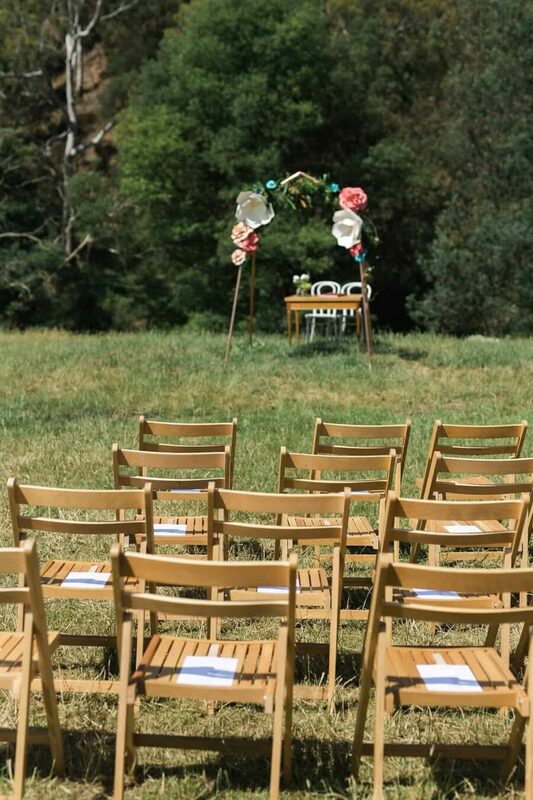 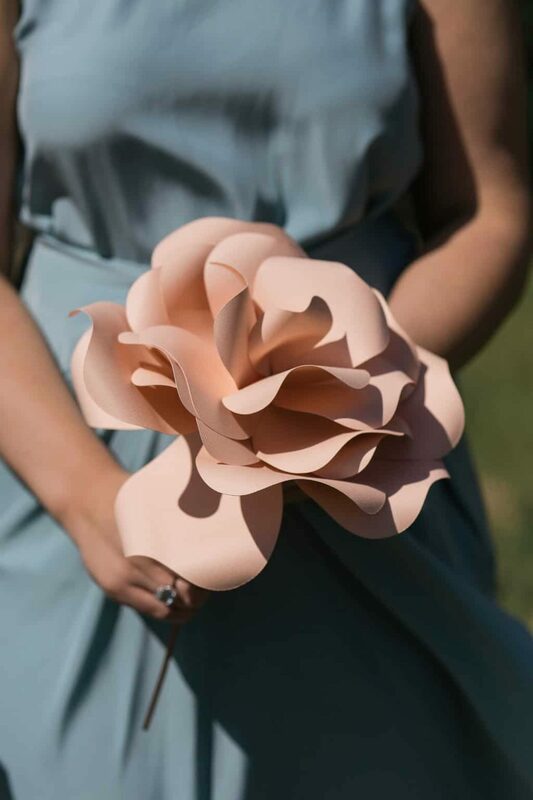 We're loving this copper arch by Good Day Rentals - adorned in giant faux blooms by Amanda May and real ones courtesy of Pomp & Splendour, it's the perfect backdrop for a relaxed garden ceremony. 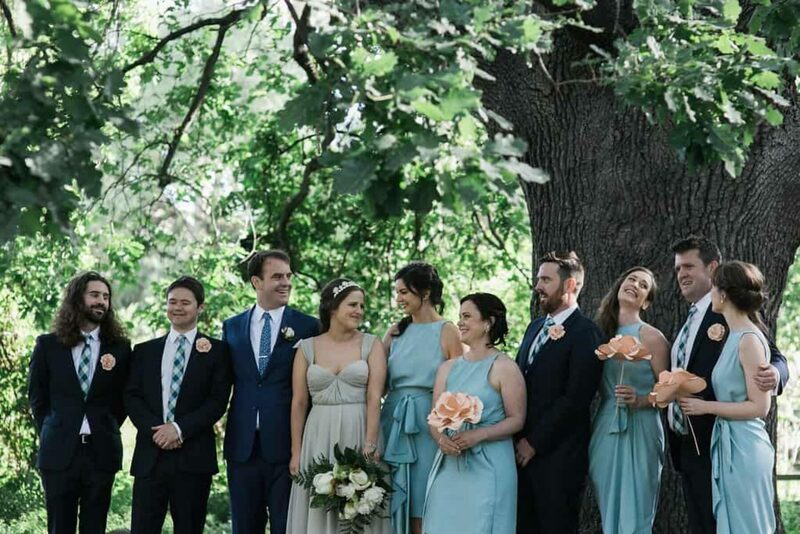 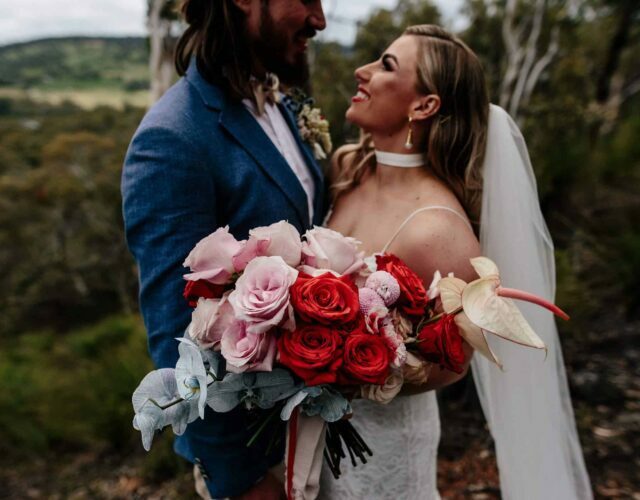 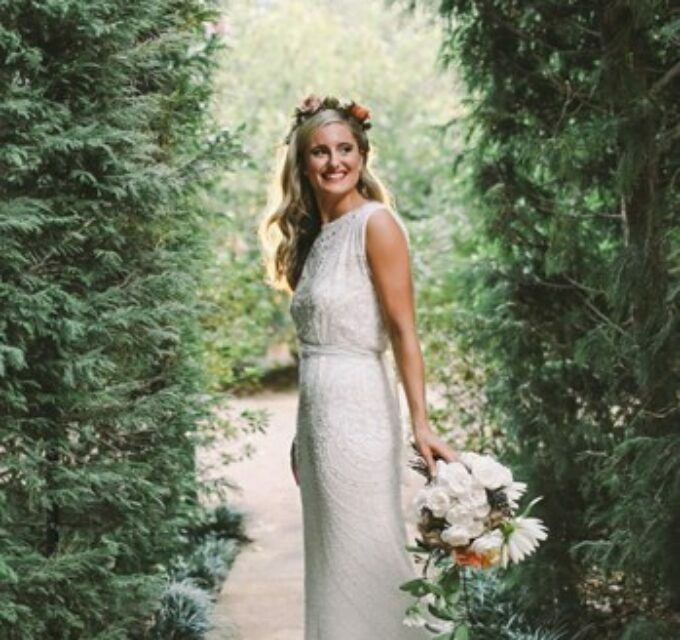 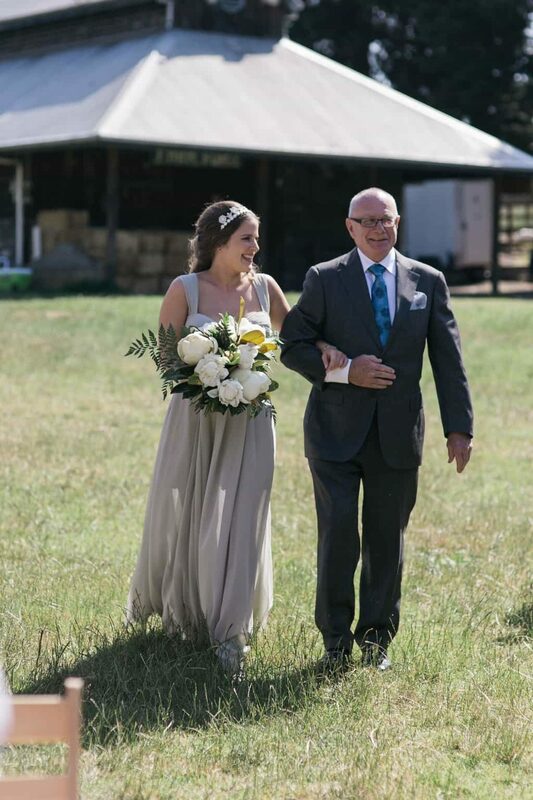 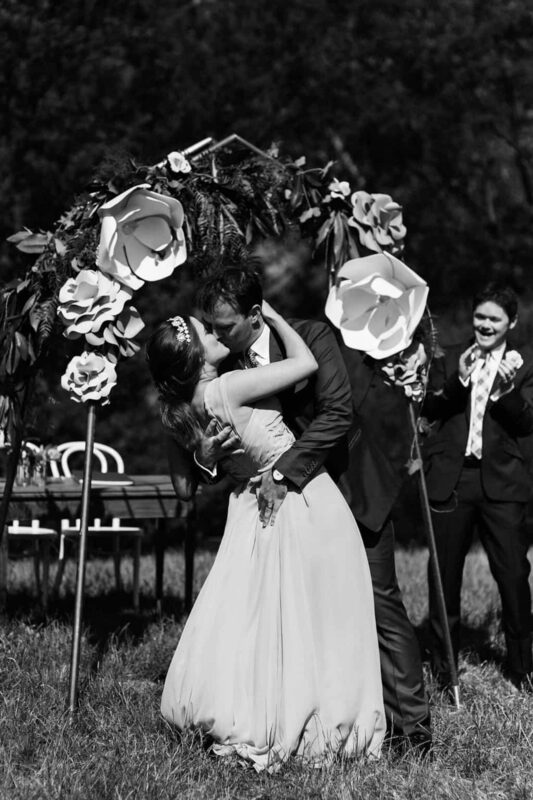 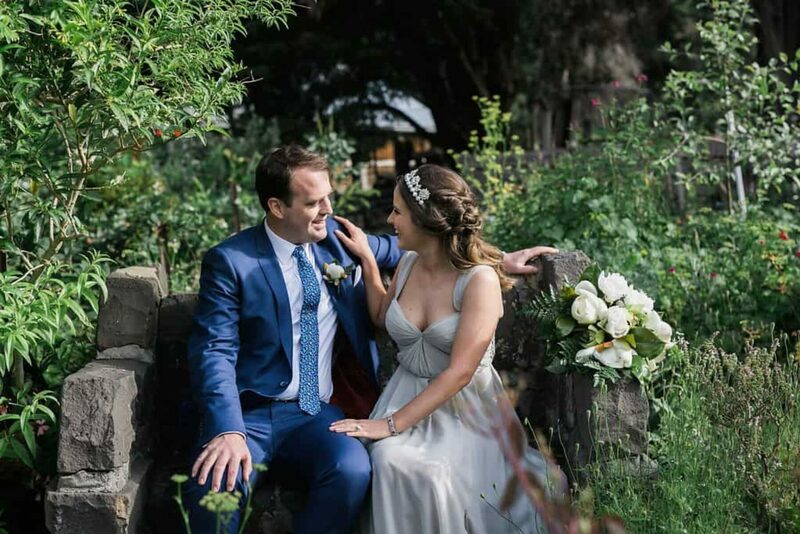 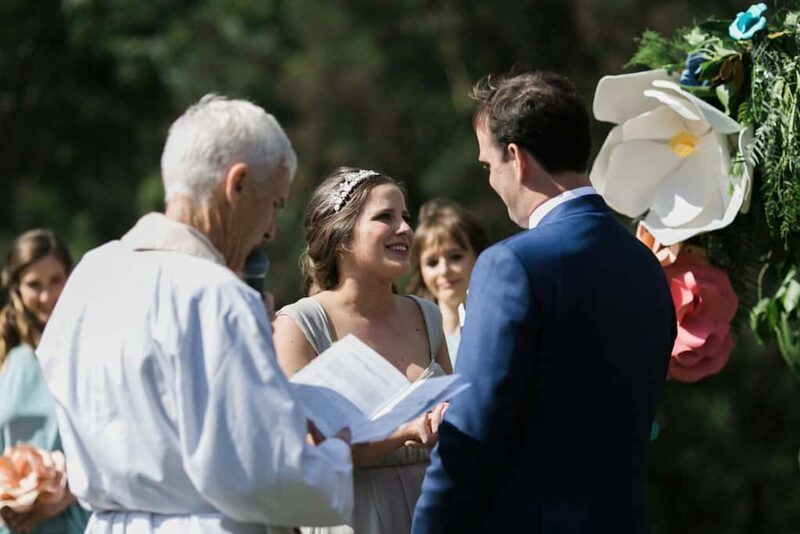 Viv opted for a feminine dove-grey gown by Sarah Seven, offset with an abundant green and white bouquet of magnolias and peonies thanks to Pomp & Splendour. 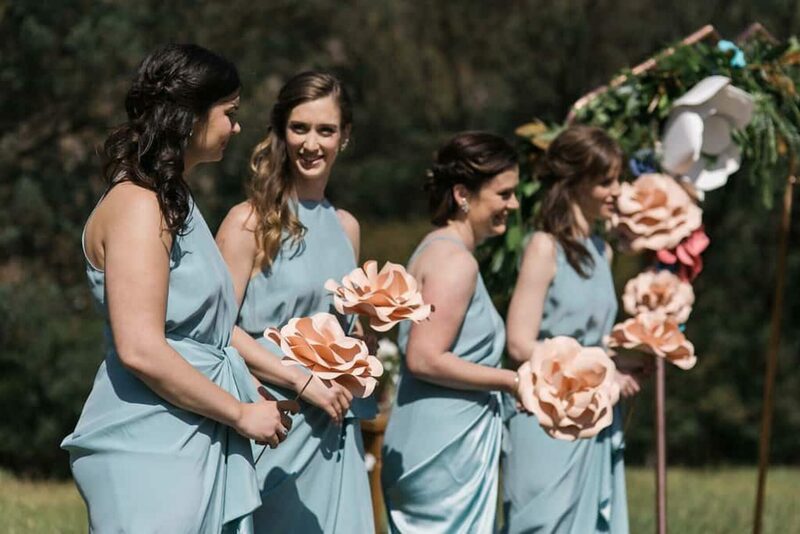 Teal Bojena King dresses did the trick for the bridesmaid, the perfect complement to the bride’s dove-grey number. 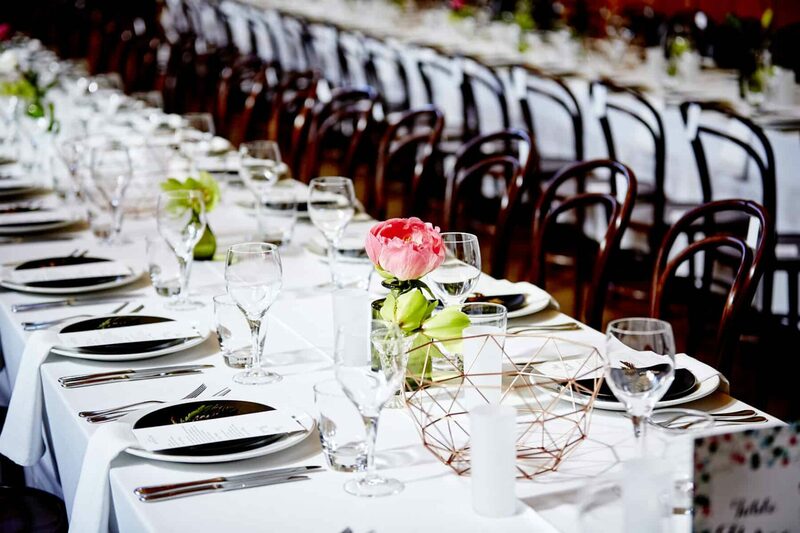 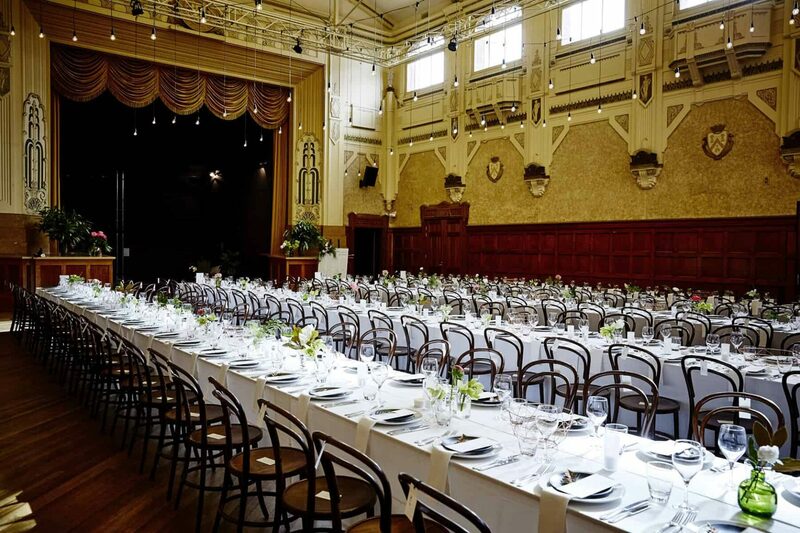 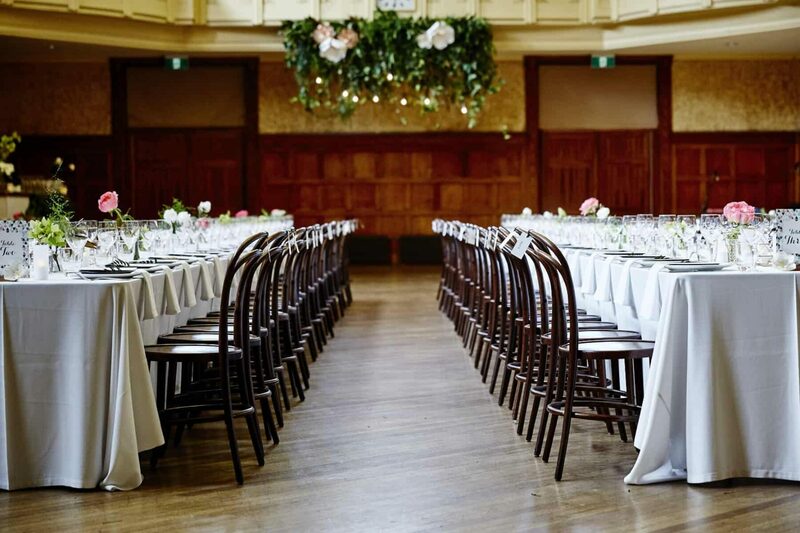 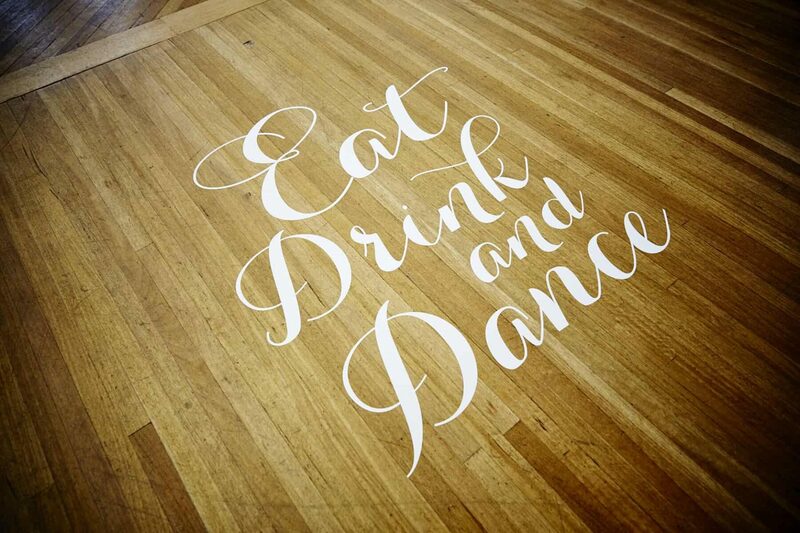 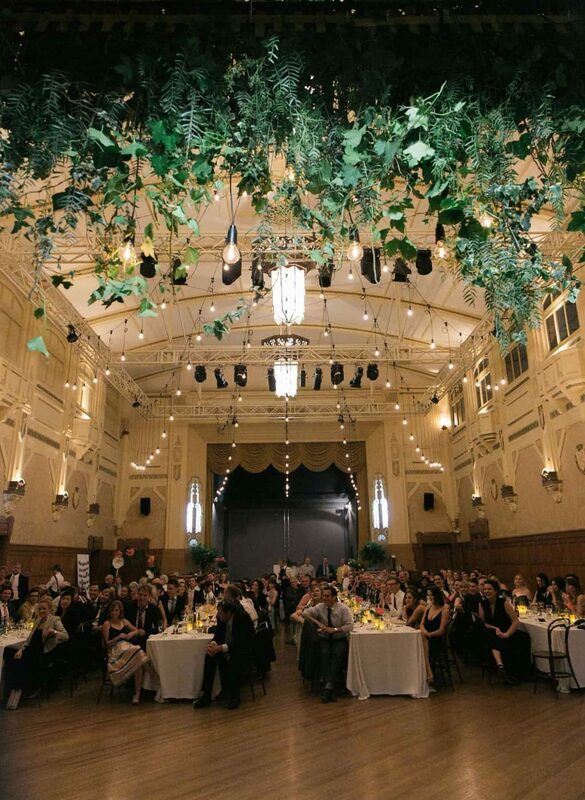 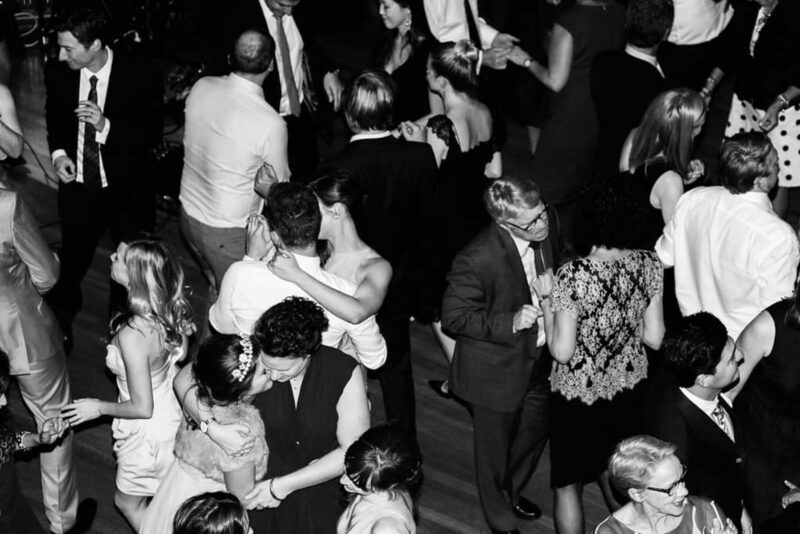 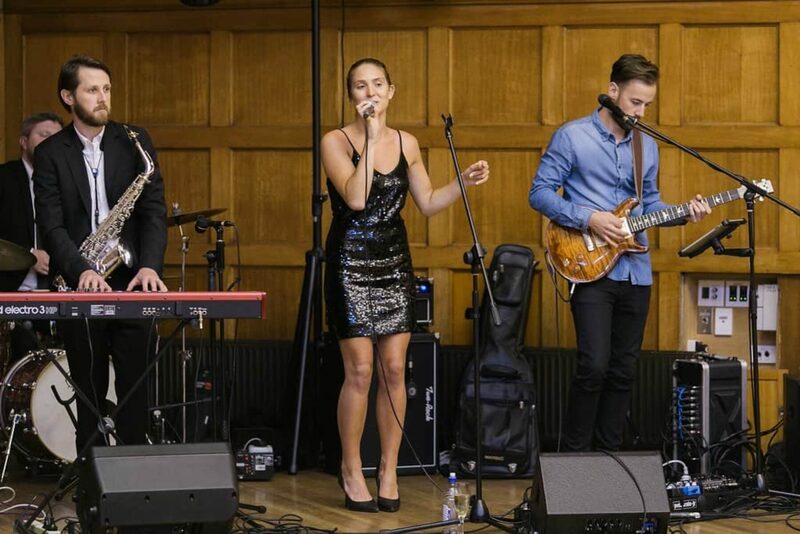 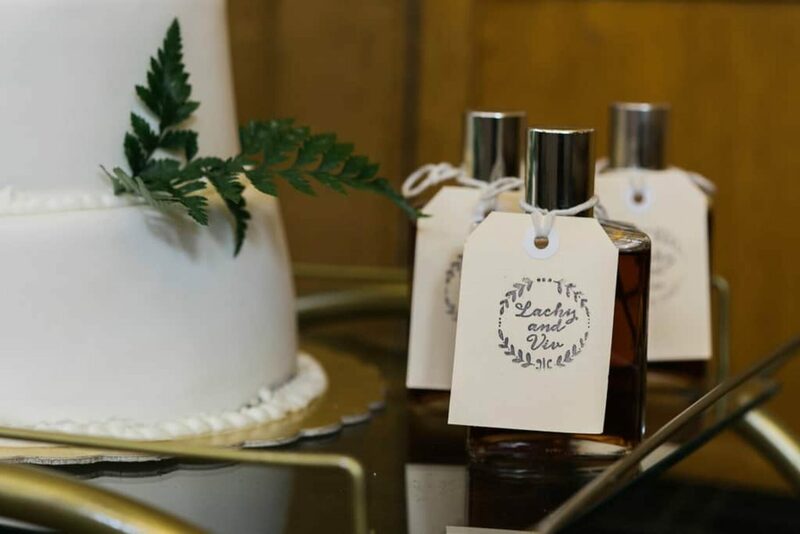 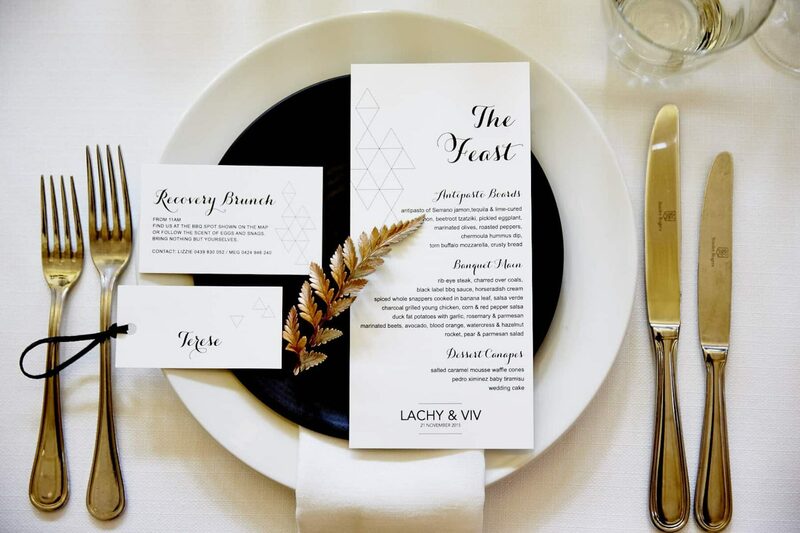 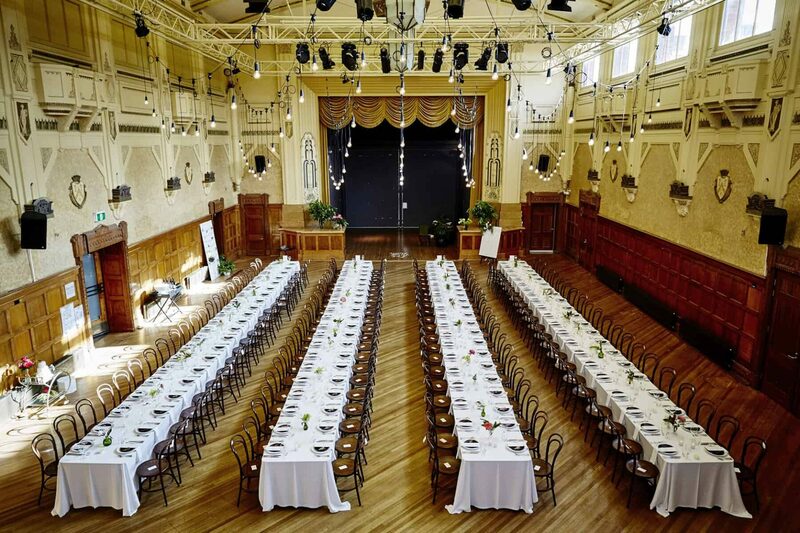 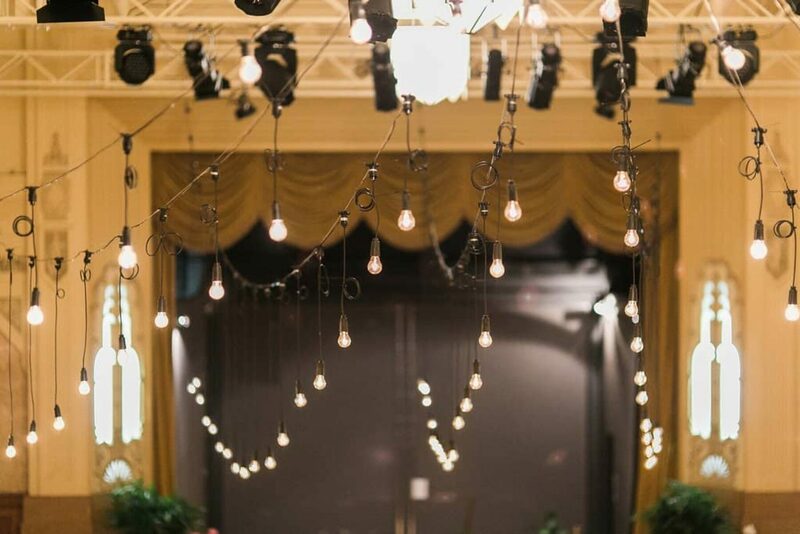 Northcote Town Hall gave Lachy and Viv freedom of choice when it came to their reception, “We are all about food and wine and the Town Hall let us choose everything!” Blakes Feast put on an impressive spread, ensuring not a soul went hungry.